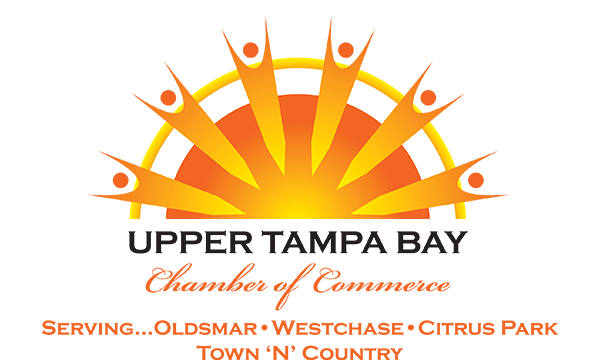 The Upper Tampa Bay Chamber of Commerce believes it strength is derived by building strong relationships and delivering value for your membership. We create numerous opportunities to network including two networking groups we call Relationship Builders that have been very active and well received. Relationship Builders is a networking event that takes place every other Friday at Aston Gardens of Tampa Bay from 7:30 to 9:00 am. This event is specifically designed so that members can; educate fellow chamber members about their products and services so that they can be a source of referrals. Connect with Jerry Peruzzi for more details. Morning Coffee Mingles are held the first Wednesday of each month at alternating locations from 7:30 – 9:00am. This event is FREE but reservations are requested to help our hosts ensure they are properly prepared with their FREE continental breakfast. It’s a great opportunity to meet new people and start the relationship building process in a relaxed atmosphere. For more information or to request to be a coffee mingle “host” please email Mark Howe or call him at (813) 855-4233. For locations and reservations, please visit our Events Calendar. Quarterly Business Luncheons are held the second Wednesday of February, May, August and November. In February we are offering a speed networking lunch to get your engines revved up from the start. Our annual Legislative Lunch will continue in the August timeslot. We will close the year in November by honoring our businesses of the year. All lunches will be scheduled between 11:30 am and 1 pm. For locations and reservations, please visit our Events Calendar.